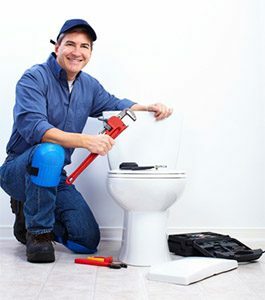 When you need a dependable plumber in Crowley, TX, look no further than Lightfoot Mechanical. Our team is equipped to handle any plumbing repair, replacement, installation, or maintenance project with ease, and you can also count on us for fast, friendly service. We offer a complete range of plumbing services and have been taking care of area residents since 1983. If you are in need of a plumber in Crowley, TX you can trust. There’s nothing quite like a plumbing problem to really put a damper on your day. Whether it’s a leaky faucet, a clogged drain, a broken water heater, or just about any other type of issue, plumbing problems are frustrating, and they can lead to huge messes. At Lightfoot Mechanical, we understand, and we are here to help with all of your plumbing needs. From repairing those pesky problems to replacing or installing fixtures throughout your home, we do it all. And when you choose us for the job, you can enjoy the confidence of knowing that it will be done right. Whether you are replacing existing fixtures or having plumbing fixtures installed for the first time, it’s best to leave the job to the professionals. When improperly installed, things like toilets and showers can cause a lifetime of problems. Save yourself a lot of time and frustration by working with a trusted plumber in Crowley, TX. From faucets to water heaters and everything in between, our team is equipped to handle any plumbing installation or replacement project. We use only the best products and equipment, and we install according to the manufacturer’s specifications to ensure proper functioning. No one wants to have to call a plumber to deal with a problem, but plumbing issues are an unfortunate reality. From dripping faucets to sewage backups, there are several things that can go wrong with your home’s system. And when there is a problem, the results can be devastating. Even a small leak can cause structural damage and lead to health problems for members of your household. It’s always a good idea to call your plumber at the first sign of trouble. Waiting until disaster strikes could lead to significant damage to your home and a much higher repair bill.